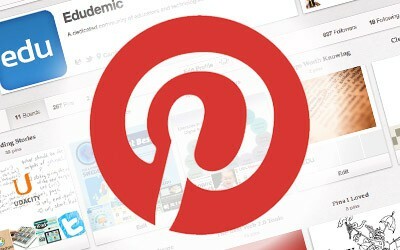 Can Pinterest Be Utilised for Affiliate Marketing? The hot-topic of this season on almost every affiliate forum is Pinterest. This social networking and photo-sharing site has exploded in popularity, and is perhaps the only major social networking site which is has an almost exclusively female audience. Pinterest is an aspirational social network. Users go there to look at pictures of fashion shows, wedding dresses, and amazing DIY projects. When people are on Pinterest, they’re truly in a mindset of “I want one of those, and one of those, and that too!”. That mindset is hard to capture elsewhere, and it’s a great opportunity for affiliate marketers. The two challenges to using Pinterest as an affiliate marketer are discovery, and engagement. Pinterest is a huge website, and there are a lot of pins being posted every day. If you want your pins to be seen, you either have to get them on the front page, get them repined by people (so that their friends see them), or have a lot of friends yourself. A good way to do this is to add lots of the popular users as friends, and re-pin their content so that you build up a relationship with them. The more you engage with the site, the more people will engage with you. Once you’ve had your pin seen, you need to get people to do something with it. Pinterest allows you to pin content from other sites, but when you do this, the site will strip affiliate links from the URL you use. You can get around this by editing the pin after you submit it, and re-adding your affiliate link. While there’s no harm in trying with other products, Pinterest works best with products that are aimed at younger women. There is a strong “geek” subculture on Pinterest, so quirky, geeky products can do well, but in general clothes, beauty products, perfumes, fitness products, jewellery, and similar “aspirational” items tend to do best. Try to find an affiliate that isn’t already promoting their product on Pinterest, and pin a bunch of content related to that product, categorizing it on a board with an interesting name. Don’t just pin pictures of the product, pin things that are related to it. For example, if you’re selling a weight loss product, make a blog post about some attractive celebrities and talk about how you can get a body like theirs if you follow a good diet (such as the one you’re promoting), then pin that. Interesting photos of celebrities are more likely to get clicked than boring looking fake-3D book covers. There are a lot of bots out there that can automate parts of the Pinterest process, and you’ll find links to these on any good affiliate forum. While it’s a good idea to use software to ease the submission process, try to resist the temptation to automate everything. You’ll get more clicks, and a higher quality of traffic, if you make the effort to post manually. Post several times a day, but spread your posts out across the course of the day. Don’t spam, and don’t flood the site with lots of submissions all at once. Be a good user, and the traffic will follow.